Instagram videos have become very popular in today's world. And hence, more people are getting attracted to it. But to make a video interesting, people might have to learn some basic editing. Otherwise, the videos will be lost in the millions post. That's why, we are providing the best solutions of Video Collage for Instagram to let the user take advantage of these apps and software. 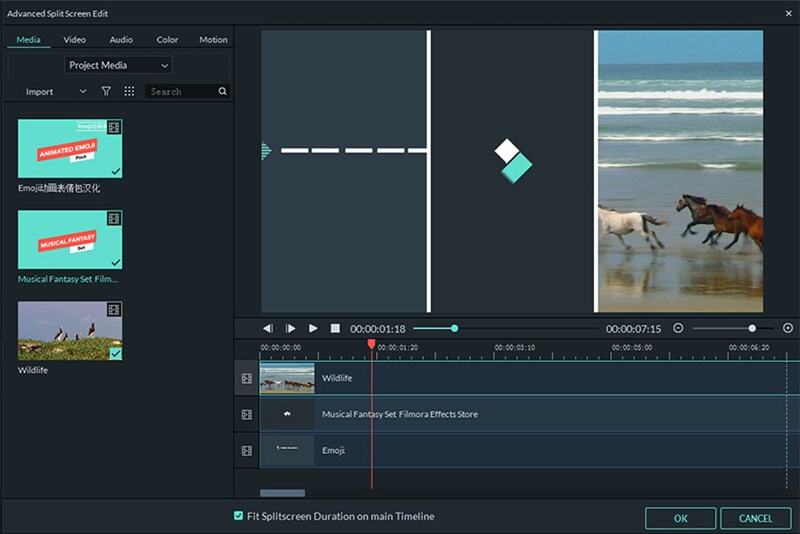 The best Video Collage for Instagram can be made by using Filmora Video Editor for Windows (or Filmora Video Editor for Mac). This software will let you create a masterpiece with its advanced and enhanced editing features. 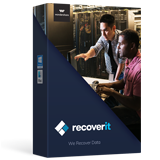 This software is available for both Windows and Mac users. You can easily import and export videos, audios, and photos from your iPhone, Android Phone, Camcorder, Cameras, or any other device. It also allows you to import videos from URL and social media platforms. It offers a full range of editing options which are both basic and advanced. The tool supports to split video, trim video, rotate video, speed control, color tuning, stabilize video, Pan and Zoom, and many others. 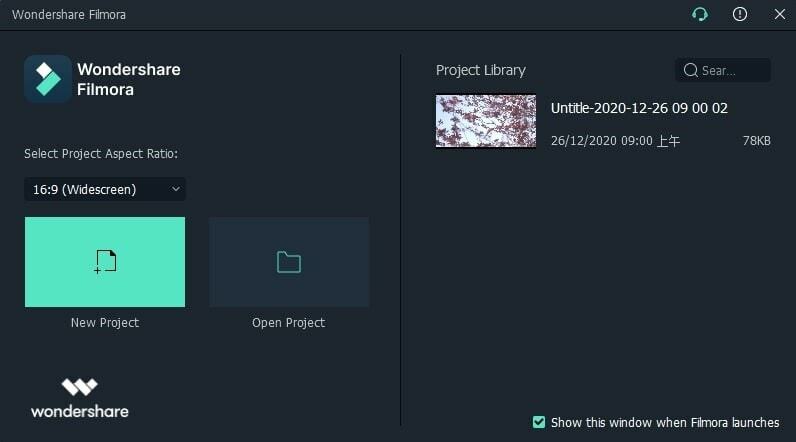 It consists of a preview window which allows the user to have a look at their project before they finalize it. You can check whether the video is correctly oriented and then export the video. 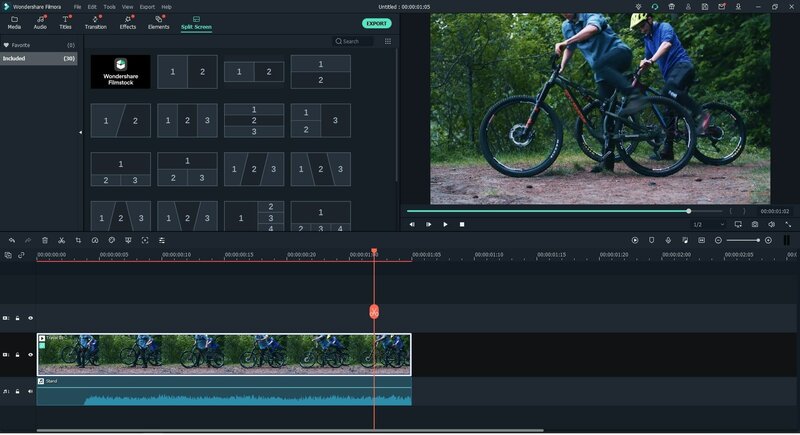 There are more than 200 filters available on the Filmora Video editor and it supports the 4K resolution for all videos. You can save and share the videos directly to and from any source such as URL, YouTube, Facebook, Instagram, etc. you can also change the formats of the video. Two different modes are available for users. One is the general mode and the other is the professional mode. The split-screen feature allows the users to display more than one video on the same screen. You can create really interesting videos using this feature such as video in one screen will show you in colors and the other screen video will have no color effect at the same time. To do more than that, you have to learn some basic steps to operate the Split Screen effect of Filmora. 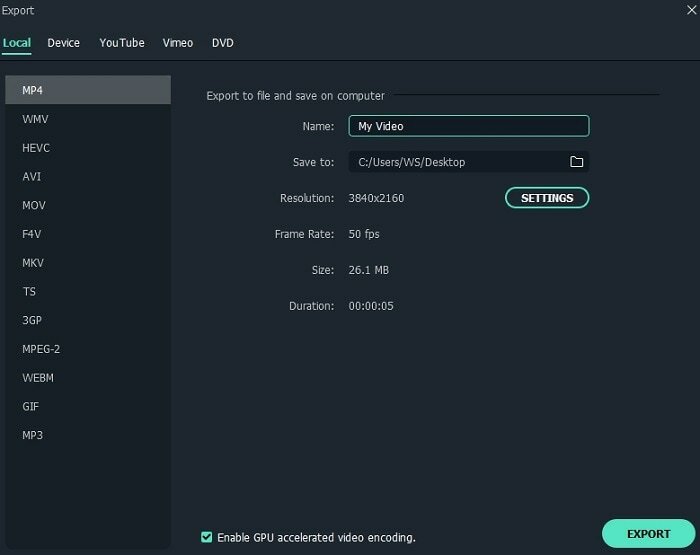 Firstly, download and install Filmora Video Editor on your computer, click on "FULL FEATURE MODE" on the main interface. After that, you need to import your videos for Instagram, you can easily drag the video files to software driectly. Then, drag your videos to the timeline. On the main timeline of the software, select the "SPLIT SCREEN" feature and select the template you like. Next, in the prompt window, drag the video you want to use and drop it. You can see the change in the preview option. In the spilt screen settings option, you can customize the starting time of the particular video by dragging the slider. You can also choose to add a border around the video screen or not. Make sure that after you are satisfied with the effect that you created, you export the video to save it to your device. It is designed by Lolo Apps. It is developed to specially provide an innovative video collage for Instagram. You can pick out the photos, layouts, effects, filters, music files, and combine it all together to form a masterpiece. •	The layout and filters are packed up with great versatility in the app. •	It merges of the multiple video clips to form a single video. •	A preview option is also provided to allow the users to have a check on the content of the video. •	You can share the collages with the social media. •	It does not allow the video to be trimmed or edited once it is made. •	It does not provide a direct option of sharing and saving the video to social platforms or cloud. Instead, it saves the video in the gallery first. •	This app is only available for Android users with version 4.1 and up. This is an amazing app to create a video collage for Instagram. This app is supported by both Android and IOS devices. It is a free app which has no watermark. 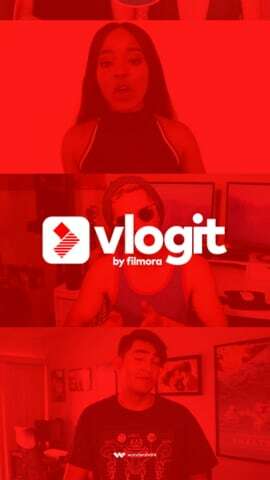 Vlogit won't take up much time and effort and provide an intelligent editing of the videos. •	It has a one-click intelligent feature that edits the video and optimizes it according to your needs. •	It has many interesting and attractive social sticker and emojis. •	You can import and export video to and from social media platforms. •	If you are using a large number of photos or video clips, the app might crash in the middle of the process. •	For iOS, the app requires IOS 9.0 or above. 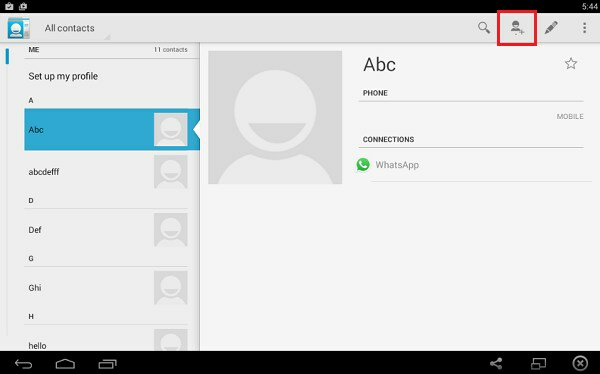 •	For Android, the app requires version 4.3 or above. 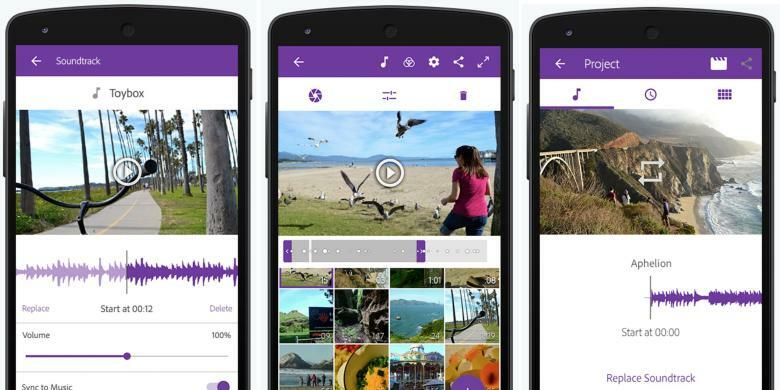 Adobe premiere clip was specially designed by the Adobe Suit of Applications. Various unique features are provided in this app to enable the users to have stunning video collage for Instagram or other social media platforms. •	This app provides rare, customized and advanced tools for editing that are mostly present in Desktop versions. •	It provides a customized watermark for the processing of the videos. •	It gives a more professional and high-quality output. 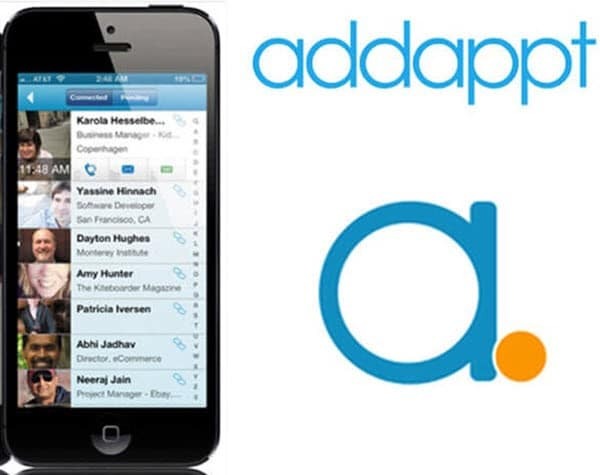 •	High configuration is required to run the app appropriately on both IOS and Android devices. •	For iOS, it requires IOS 8.1 or later. 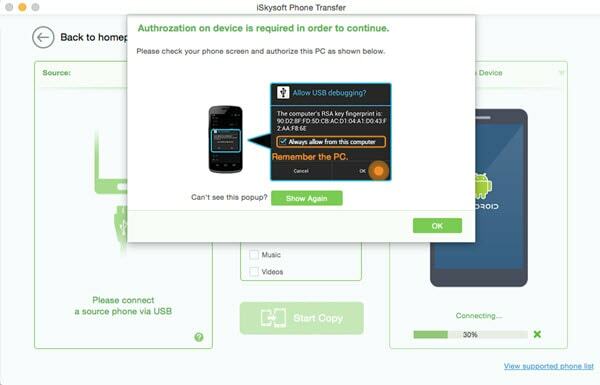 •	For Android devices, it requires the minimum version 4.4 and above. 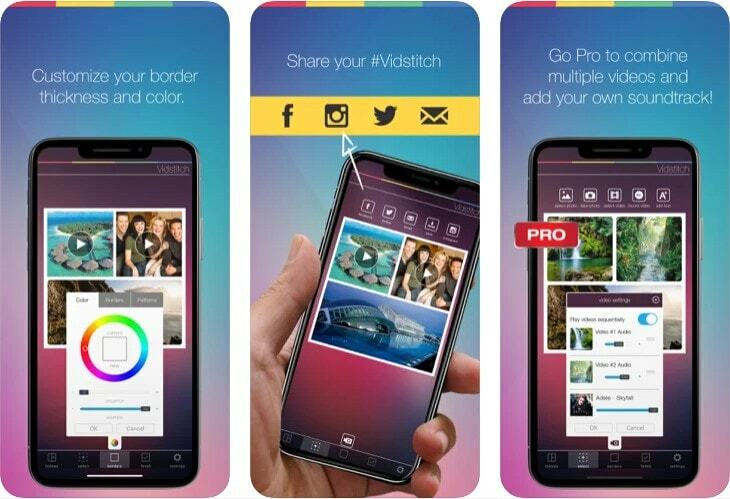 Vidstitch is one of the free apps that will help you to get the best quality Video Collage for Instagram and other platforms. You can choose the images from the gallery, or shoot images and add them directly to the app. The collage option available in the app gives a beautiful and unique feel in the video editing. •	The orientation process is quite easy as the photos and videos in a single frame can be rotated to attain exact orientation. •	You can pick from more than 50 styles of the collages. •	The app constantly gets updated without losing the previous features. 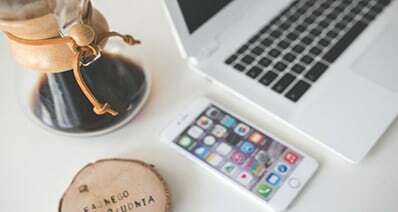 •	The photos and videos created using iPhone are best suited for this app. If you use videos created from other devices, the app might crash. •	A large number of photos and video clips will also lead to the crashing of the app. •	The iOS system requires iOS 8.0 or above. •	The Android system requires version 4.4 and up. 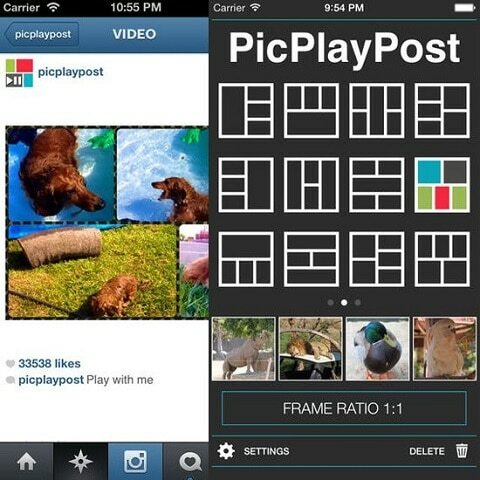 The PicPlayPost is also an amazing tool to create Video Collage for Instagram. It creates the video by using the split screen criteria. The advanced features include trim, add a logo, and share the video in high quality. •	Users can create a slideshow which includes 9 photos, videos, GIF, music files, and live photos. 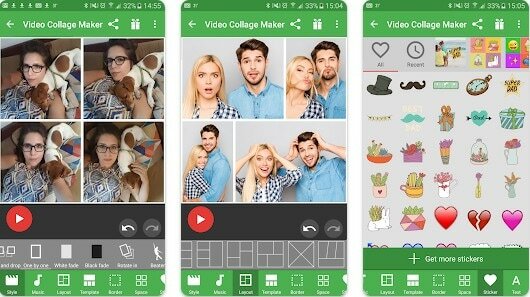 •	You can easily combine videos to make a single collage. •	It can turn a simple slideshow in automated slideshow animation with an ease. •	All the exported videos will contain a watermark while you use the free version of the app. •	The sharing of the videos to cloud storage is not available. •	The iOS version requirement is 10.0 or later. •	The Android system requires version 4.1 and up. Now, you have many options to edit your videos and make a Video Collage for Instagram with quick and simple methods.